ProWarm ProFoam insulation boards are an economy insulation option, specifically designed for use with ProWarm under wood or under carpet heating systems. They are NOT suitable for use with under tile heating systems. These insulation boards can also act as an underlay for your wooden flooring. Each board measures 1200mm x 600mm and covers 0.72m2. Each pack of 14 boards will cover 10.08m2. The boards are laid in a brick bond style. 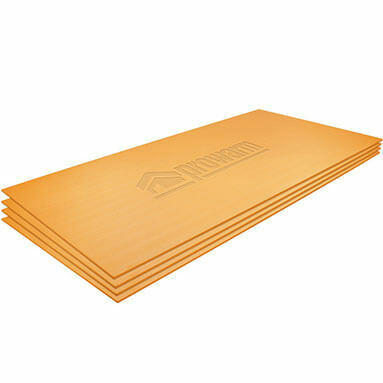 If using with underfloor heating, the heating mats are laid on top of the insulation boards. Once the heating mats have been installed and tested, the wood flooring is laid on top. Click here for the installation instruction manual (PDF) for ProWarm ProFoam insulation boards!